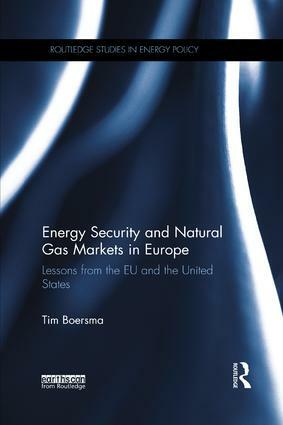 Moving beyond most conventional thinking about energy security in Europe which revolves around stability of supplies and the reliability of suppliers, this book presents the history of European policy-making regarding energy resources, including recent controversies about shale gas and fracking. Using the United States as a benchmark, the author tests the hypothesis that EU energy security is at risk primarily because of a lack of market integration and cooperation between member states. This lack of integration still prohibits natural gas to flow freely throughout the continent, which makes parts of Europe vulnerable in case of supply disruptions. The book demonstrates that the EU gas market has been developing at different speeds, leaving the Northwest of the continent reasonably well integrated, with sufficient trade and liquidity and different supplies, whereas other parts are less developed. In these parts of Europe there is a structural lack of investments in infrastructure, interconnectors, reverse flow options and storage facilities. Thus, even though substantial progress has been made in parts of the EU, single source dependency often prevails, leaving the relevant member states vulnerable to market power abuse. Detailed comparisons are made of the situations in the Netherlands and Poland, and of energy policy in the USA. The book dismantles some of the existing assumptions about the concept of energy security, and touches upon the level of rhetoric that features in most energy security and policy debates in Europe.